Joan was born in Saratoga Hospital in Detroit MI to Margaret and Matthew Sute (both deceased). She has two brothers James Sute (of Detroit, MI) and Paul Sute (deceased) and two sisters Frances Sute and Barbara Glenn (both of Foley, AL). Mrs Galant Married for 53 years to Joseph Galant and they had 3 children Joseph (of Lakeland Fl, Mark Galant(of St. Cloud, Fl,) and Joan Hayes (of Davenport , Fl) She is also the Grandmother of Sydney Hayes (of Davenport, FL) and Lauren Galant Rurkowski (of Antioch, TN) Mrs Galant went to Dominican High School in Detroit Mi. She worked at Michigan Bell, but on her arrival in Florida, she worked for the Walt Disney World Company as a reservationist. 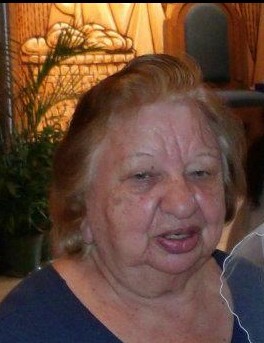 She was active at St. Anthony's Catholic Church, a participant in the North Lakeland TOPS group and loving family woman.